Where do you got your cutting edge vegan info? Twitter? Facebook? Various vegan blogs? The magazine stand at your local bookstore? If you answered the latter then you’re likely a regular peruser of the pages of VegNews magazine. You may remember a giveaway here on Nashveggie.com a few months back for a 1-year subscription to what is the vegan handbook. At the time I said I would be doing another giveaway soon and the time has come. 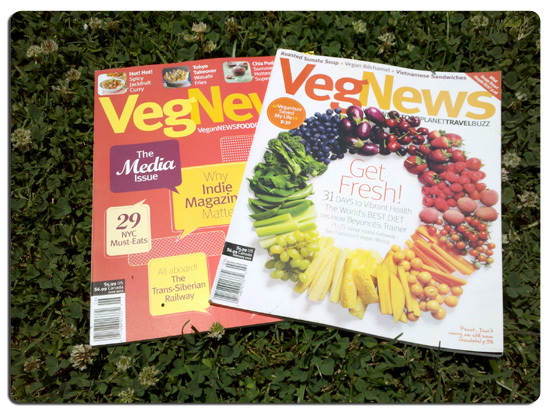 Up for grabs is a 1-year subscription to VegNews magazine. All you have to do is leave a reply to this article with why you are vegan or vegetarian. Maybe you’re considering the move to vegan or vegetarian ways. Those ideas are eligible as well. I’m not asking for an essay, though you’re welcome to write one, but make it good. Instead of the randomness of the random website everyone uses for their giveaways I’m having an impartial panel pick a winner from the entries. Leave a legitimate email address with your entry so I can contact you or I’ll have to move on to someone else. You don’t want to miss out! A winner will be chosen on June 22nd. Congratulations to Sarah, the winner of A Vegan New Year VegNews Giveaway! 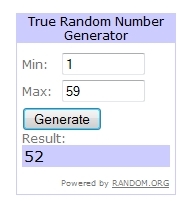 Sarah commented at number 52, which random.org randomly randomized out of randomness, however it randomly does that with its random coding. My resolutions are mostly health related – floss daily, resume drinking lots of water, ride my new bike more often, do yoga 3 times a week. Good stuff! Totally doable. Sarah will be doing yoga, flossing and drinking water while riding her new bike. Please watch for her and move over if you see her riding down the street. She’ll need the extra room. 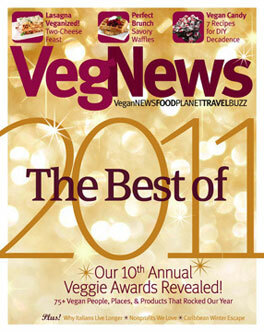 Thanks to everyone who entered, tweeted, retweeted and thanks to VegNews for the great magazine! The giveaway was so popular that I’m planning giveaways each month. Look for a new giveaway soon!